There is little time to react in the event of a house fire. The right fire safety equipment and a good escape plan will ensure that everyone gets out safely and that the fire can be put out as quickly as possible. 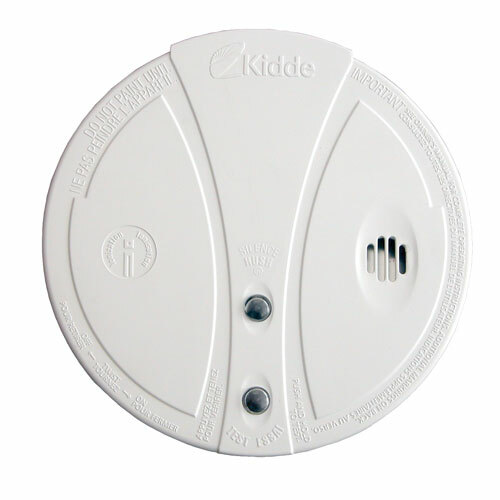 Fire safety starts with having working smoke and carbon monoxide detectors installed. Here are the four main types of detectors to choose from. Smoke alarms are the simplest and most affordable way to detect fires early, especially when residents are sleeping and might not be aware of the smoke. They prevent smoke- and fire-related injuries. Battery backup to ensure that the smoke detector can continue to function during a power outage. Hush button to temporarily silence a false alarm without disabling the detector, allowing it to continue monitoring in case a fire does start. Test button to ensure that the detector is in proper working condition. Experts recommend that smoke detectors be installed on each floor of the home, as well as outside of any sleeping areas and inside each bedroom. Having enough smoke alarms will maximize the amount of time available to escape. Also, because smoke rises, smoke alarms need to be installed high up. 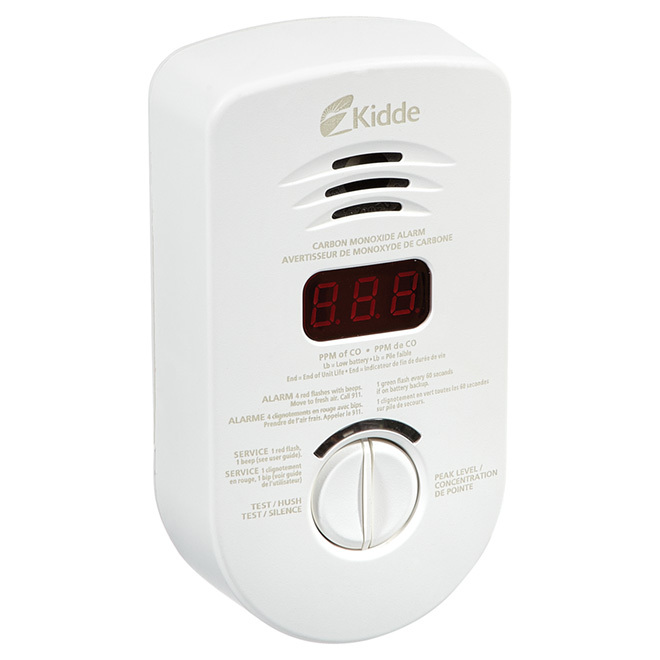 A carbon monoxide alarm is the only way to detect carbon monoxide before it reaches potentially deadly levels. Carbon monoxide gas is a colourless and odourless by-product of incomplete combustion. 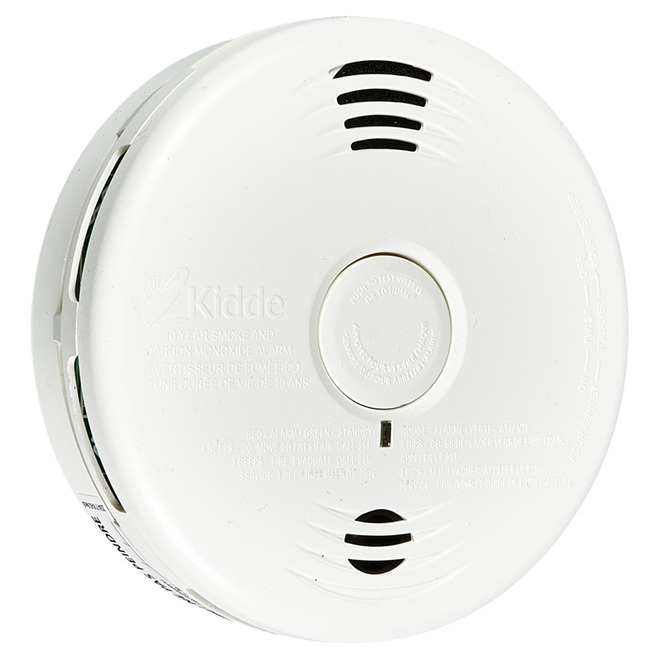 A working carbon monoxide detector will enable all residents to quickly evacuate the home. Digital display that shows the concentration of carbon monoxide in parts per million. Battery backup to keep the carbon monoxide alarm working during power outages. Test button to ensure that the device is working as it should. End-of-life warning sound to advise when the alarm needs to be replaced (usually after about 10 years). Carbon monoxide detectors should be installed on each level of the home and outside every sleeping area. 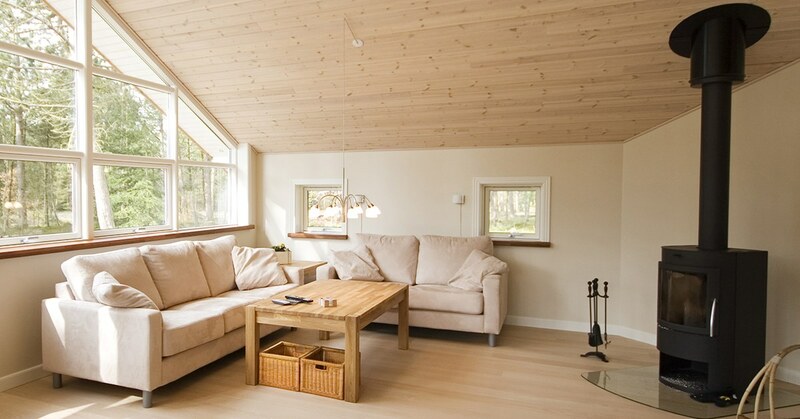 Unlike smoke alarms, carbon monoxide alarms can be installed at any height, not just on the ceiling. Many people choose to plug their detector into an outlet close to the floor. 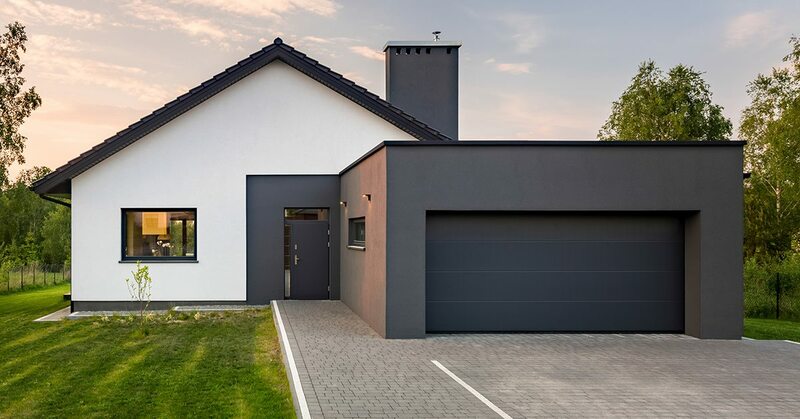 A combination alarm is a single unit that can detect smoke, fire, and carbon monoxide, meaning that you don't have to buy two separate units for the job. These combined detection capabilities generally offer better overall performance in detecting both fast-flaming fires and slow-smouldering fires. Communication between the smoke and carbon monoxide detection chambers, which allows for quicker hazard detection. Smoke sensitivity adjustment for better discrimination between real and false alarms. Like individual smoke and carbon monoxide alarms, combination alarms should also be installed on each floor, in each bedroom, and outside of every sleeping area. LED strobes provide a crucial visual alarm for any occupants who are hearing impaired. 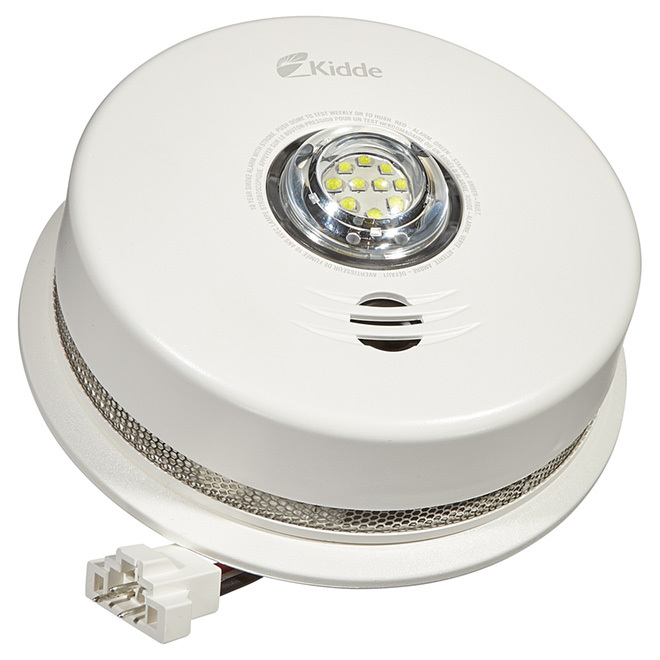 They are available as 2-in-1 units that combine LED strobe lights and a smoke detector, as well as in 3-in-1 units that combine LED strobes with smoke and carbon monoxide detection. When installing LED strobe alarms, it is important that all alarms within sight of one another have their strobe effect synchronized to prevent confusion and disorientation. There are two different types of fire alarm sensor technology: ionization and photoelectric. Ionization sensors offer quicker detection for fast-flaming fires and are better suited for living areas. Photoelectric sensors offer quicker detection for slow-smouldering fires and are better suited for areas near kitchens. Photoelectric sensors are also less likely to sound a false alarm. Every multi-story household should have an emergency fire escape plan that includes fire escape ladders. These ladders can help ensure that all occupants get out safely from a second or even a third floor. A ladder for a second-storey room should be 13 to 15 feet long while a ladder for a third-storey room should be 20 to 25 feet long. Anti-slip features will make it easier for children or anyone with mobility issues to climb down the ladder safely. Ladder stabilizers help both to keep the ladder steady and keep the rungs away from the wall, providing more secure toeholds. A ladder rated to carry at least 1,000 pounds will allow multiple people to evacuate at once. For easy storage and setup, choose a ladder that is compact and lightweight. It is important to test a new escape ladder before it actually comes time to use it during a fire. Hold a fire drill, set up the ladder, and give everyone the opportunity to practice climbing out. An escape ladder should also be stored folded up in a box near the window it is intended for. Experts recommend that you keep a ladder in every occupied room above a home's main level. A fire extinguisher can help to protect property and even save lives by extinguishing or at least containing a small fire. Fire extinguishers should always be within easy reach. The rule of thumb is to have one fire extinguisher for every 600 square feet or one on every level of your home. Remember that your main priorities in the event of a house fire should always be to safely evacuate and to notify the fire department. Use your fire extinguisher only if you assess that you can put out or contain the fire yourself, and only after help is already on the way. The pressure gauge, which makes it quick and easy to check the pressure and see if the fire extinguisher is ready for use. The safety pin, an easy-to-pull pin that allows you to use the fire extinguisher immediately. The handle, which allows for a secure grip while using the fire extinguisher. The tank, made of lightweight and corrosion-resistant material, which holds the extinguishing agent. The valve, which controls the flow of the extinguishing agent. The hose, which delivers the extinguishing agent from the tank to the valve on larger fire extinguishers. Fire extinguishers have different ratings depending on the type of fire they can put out. Class A fire extinguishers are made to put out fires fuelled by common household combustible materials such as paper, wood, plastic, and rubber. Class B fire extinguishers should be used for rapidly spreading fires fuelled by flammable liquids, gasoline, oil, and oil-based products. Class C fire extinguishers are for energized electrical equipment fires. 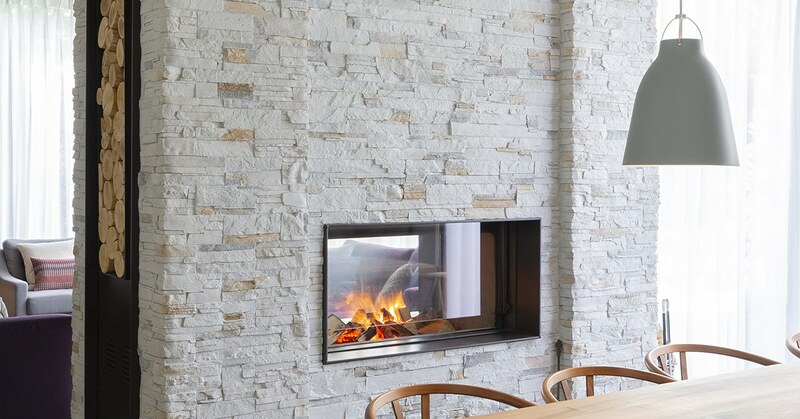 These fires are usually started by a spark, a short circuit, or a power surge. Some fire extinguishers have more than one rating because they can be used on more than one type of fire. An A:B:C extinguisher, therefore, can put out all fire types. A fire extinguisher will also have a number rating to indicate its capacity. For example, a 2-B extinguisher can put out twice as much as a 1-B extinguisher. Portable fire extinguishers can be a good alternative for residential use. They function much like other home aerosol spray containers such as air fresheners and hairspray. You simply remove the protective cap and press the button on the top, continuing to spray from a safe distance of 1 to 3 metres until the flames are smothered. The extinguishing agent used in portable fire extinguishers is a combination of non-toxic foam and water. This formula smothers the flames, covers the source of ignition, and quickly cools down the affected area. Without oxygen and heat, the flames can effectively be kept from reigniting.